The thought of your boat breaking down can give people nightmares. 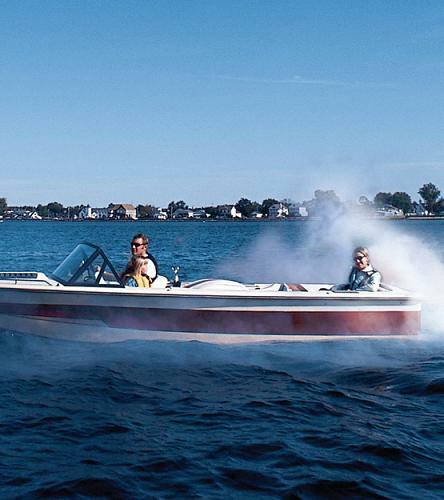 During the warm months in Minnesota, many people consider a boat to be their best friend. From fishing to joy riding, a functioning boat can put a smile on just about anyone’s face. A broken down boat on the other hand, can quickly turn that smile into a frown and can create extreme frustration. There are many reasons as to why a boat may break down, and as a boat owner you are not expected to know all of the reasons. That is where Anchor Marine Repair comes into play! If your boat has recently broken down, or you are just looking for a reliable contact should something go wrong in the future, Anchor Marine Repair is the most trusted boat repair shop around Minnesota. Lacks Strength – While on the water, your boat feels and sounds like it does not have much power. This is a sign of either low gas or a filter issue. Broken Belt – If the belt on your boat breaks, your best friend will quickly overheat and shut down quickly. Overheating – If your belt is intact and your boat is still overheating, chances are it is your engine. If water is not flowing through the engine, it can overheat and cause serious damage to your engine. The Battery – Just like a car, if your key doesn’t turn on the boat, there is a good chance that you need a new battery. Electrical Issues – Blown fuses or a loose connection are common reasons that your boat may fail. Vibration – Excess vibration while driving your boat may be a sign that your prop is not functioning correctly. Prevention – Individuals that do not properly maintain their boat regularly tend to be the ones that frequent our shop the most. Getting setup on a regular maintenance schedule will help make sure that your boat doesn’t break down in the future. Thanks to over 45 years of combined experience, our highly advanced technicians have seen all of these reasons as to why a boat breaks down. We have the expertise, equipment and space to get your boat back to good health quickly. So, if you live in Minnesota and need assistance with your broken down boat, give Anchor Marine Repair a call today at (763) 972-3540.